In This Scene: Matt Sussman at SFMOMA. 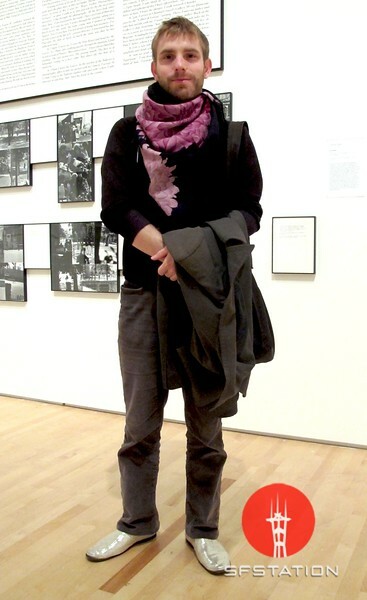 Sussman is wearing a vintage Gucci scarf he found at Buffalo Exchange, grey corduroys from Thrift Town, and shoes by John Fluevog. This look really shows how accessories can make a big, yet subtle, impact.